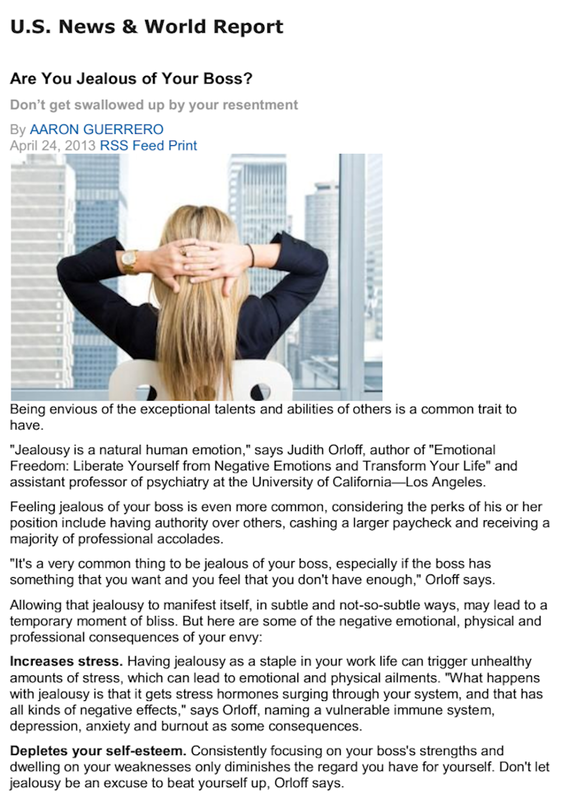 Are You Jealous of Your Boss? Jealousy is a natural human emotion that can aid in our personal development if we use it as a prompt to grow. 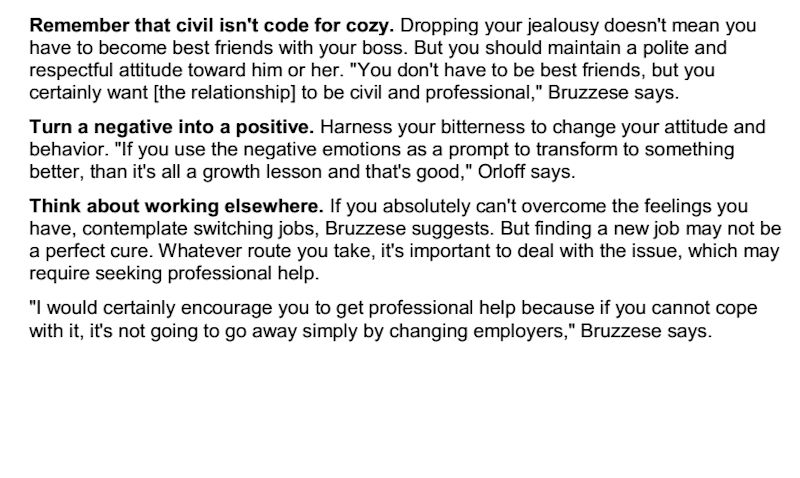 Jealousy normally arises in situations where “I want what you have.” In the work setting, this could be targeted at a boss who has more perceived power and pay, or a colleague that received a promotion over you. It’s during these moments that our inner critic kicks in and creates feelings of comparison and unworthiness. Jealous thoughts can lead to extreme physical and emotional suffering. However, if quickly identified, they can provide tremendous lessons in our own personal development. 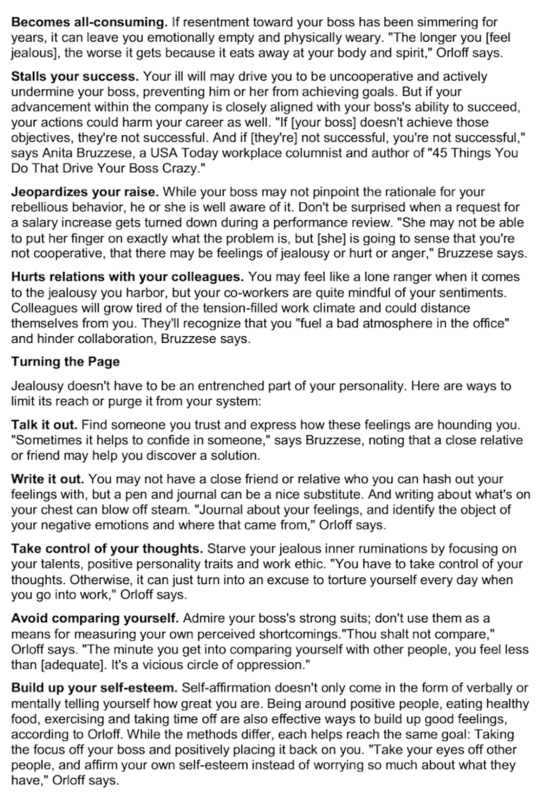 In this U.S. News & World Report article, I share my tips on how to shift your thoughts and turn jealous emotions into positive self-esteem building opportunities. Read the full article on U.S. News & World Report here.